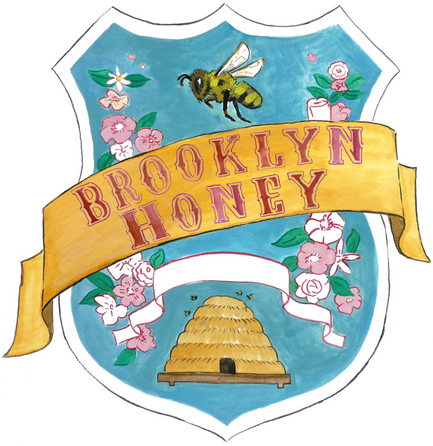 Brooklyn Honey is the pet project of Meg Paska, an urban gardening and livestock enthusiast. She maintains a little under a dozen hives in Brooklyn, New York. Our honey is foraged by hardworking Italian honeybees living in Langstroth hives perched atop the the abundant rooftops in the area. Honeybees have a 3-mile radius, so they can collect their pollen and nectar from as far as Central Park! In New York City there's a wide assortment of plants and trees in bloom; early Spring honey can differ from late-season honey not only in color but also in flavor. Early season honey from this area is typically a chartreuse color with a very distinctive, minty taste in part due to the abundance of Linden (also known as Basswood) trees in bloom. It's been described as light but very sweet and herbal with some maltiness and spice in the finish. This isn't a commercial or high-volume operation: you'll be buying from maybe 150 portions of honey harvested this year. Demand is high and we try to serve everyone, but it’s hard to do on such a small scale so please forgive us if we sell out! 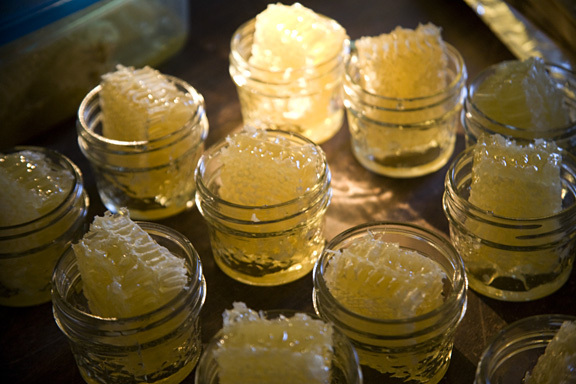 Get in touch early to purchase a piece of comb or a jar of the best honey you’ve ever tasted!